You’d think after all these years of blogging that my cake ball-making skills would have improved. But no, my cake balls are still rustic looking as ever. Slightly lumpy, unevenly coated, with some fork marks. Except when I brought these to a party, no one seemed to care about how they looked. I said the words Dulce de Leche Cake Balls with Smoked Sea Salt and people’s eyes immediately widened. One bite and they grinned. Someone said they should be called Crack Balls instead. Lumpy cake balls for the win. I brought these little bonbons to a barbecue/engagement party earlier this month (congrats, Kathy!) and it was pretty well-received. What’s not to like? Tender yellow cake, sweet and sticky dulce de leche, almost bittersweet dark chocolate, and smokey salt on top. I may have used too much dulce de leche, resulting in slightly mushy cake balls, but hey, who’s going to complain about extra caramel? I added a little olive oil to the chocolate so that it won’t be too thick, which made the dipping and coating process easier. 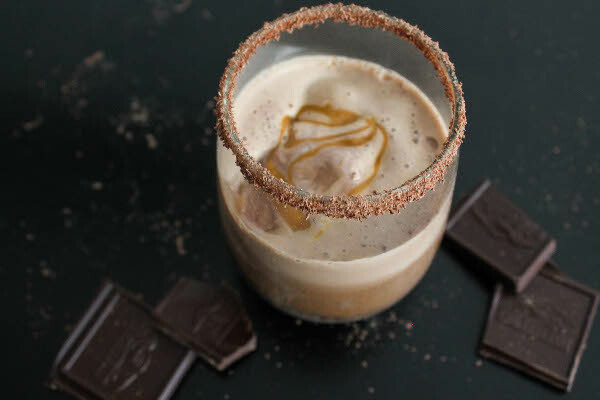 This means that the only hard part about this recipe is stopping yourself from eating dulce de leche by the spoonful. 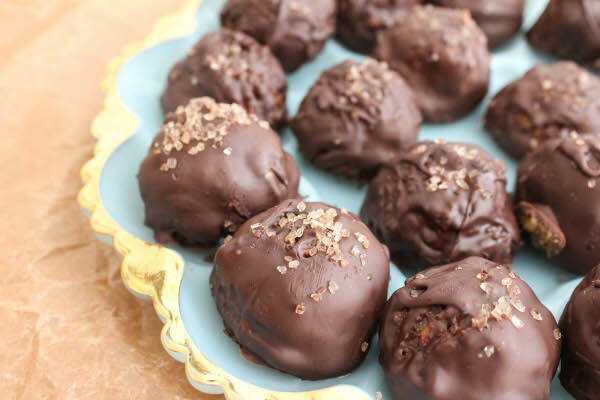 People tend to like the idea of cake balls or truffles or bonbons. They’re cute! They’re individually sized! The smoked sea salt almost looks like gold! (Thanks to the beautiful gilded platter.) Switch out the word lumpy to rustic and you have the perfect little dessert to bring to parties. An added bonus: unlike an actual cake, you can help yourself to a cake ball or two without hard evidence of your taste test. Make cake according to package directions. Let cool completely. 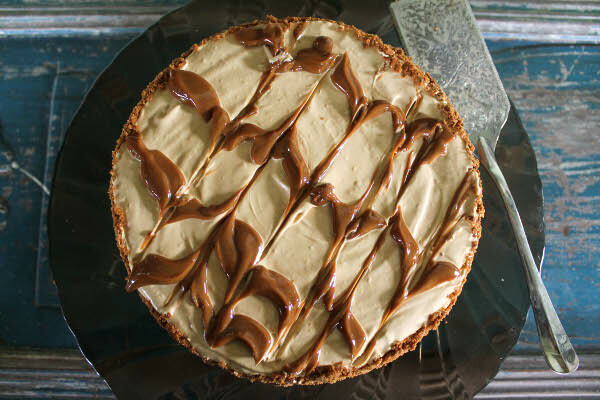 In a big mixing bowl, crumble cake and combine with dulce de leche. You can microwave dulce de leche for 30 seconds up to a minute if it's too thick. Mix until well incorporated. 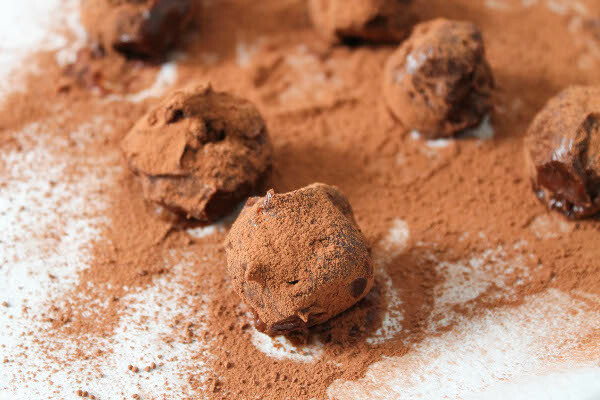 Make cake balls by using a standard cookie scoop or a heaping tablespoon of dough. Chill cake balls in freezer for at least 45 minutes. In a microwave-safe bowl, combine dark chocolate and olive oil. Heat for one minute and stir, and continue heating in 30 second increments until melted and smooth. Dip each cake ball in chocolate (I used two forks to dip) and place in a parchment paper0lined baking sheet. Sprinkle with sea salt. 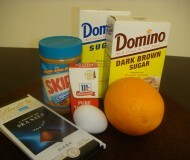 I did this in increments of 5, so that the chocolate doesn't harden before I had the chance to sprinkle sea salt on top. Do you have a favorite dulce de leche recipe? Any tips on how to make cake balls look less rustic? i think you need a roommate. i think it needs to be me. Bianca, your posts always makes me want to lick my screen. Gorgeous! Whoa….these sound pretty darn incredible! You’re right, and messy-looking foor is more fun to eat anyway! SO good! I was definitely in love :) Thanks Bianca! Bianca, I for one would never complain about too much caramel! I like it way more than chocolate! 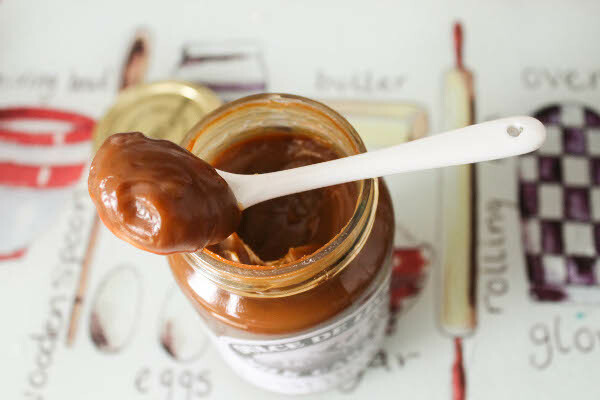 Dulce de leche is high up on my list of favorite things EVER – and so is smoked sea salt! These cake balls sounds ridiculously delicious. Pinned! omigoshhhhh!!! 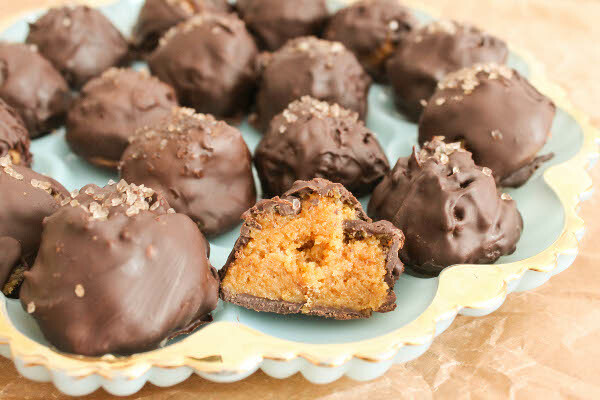 I’m totally dying over these amazing cake balls-such a tasty flavor combo! Wow, these look absolutely amazing! I can see why some people might think they should be called crack balls. YUM! These are practically calling my name!! 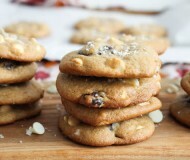 I always wanted to make something with dulce de leche and these treats are definitely it. They look and sound amazing!! They look awesome to me! Of course, my cake balls turn out looking like boulders. Who cares when they’re so delicious! What a great flavor combination. I bet that smoked sea salt just puts them over the top. I definitely wouldn’t complain about too much dulce de leche! Um, I can see eating WAY too many of these! YUM! These look like the perfect little bite! How clever are these beautiful little balls of deliciousness! I just bought dulce de leche! Talk about good timing! These look amazing! Wow, can I just eat my computer and pretend I am indulging in your gorgeous cake balls? Oh man, I’m such a sucker for dulce de leche! This sounds great! You’ve done a far better job on your cake balls than I ever have! and they definitely sound eye widen worthy! These cake balls look delicious! Oh so yummy! The flavor combo sounds fabulous! 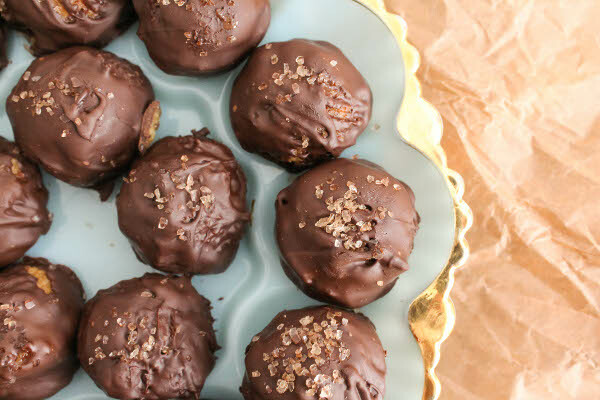 Bianca I think you’ve just created the ultimate chocolate treat, these look uh-mazing! These look unbelievably delicious! I love love love cake balls! 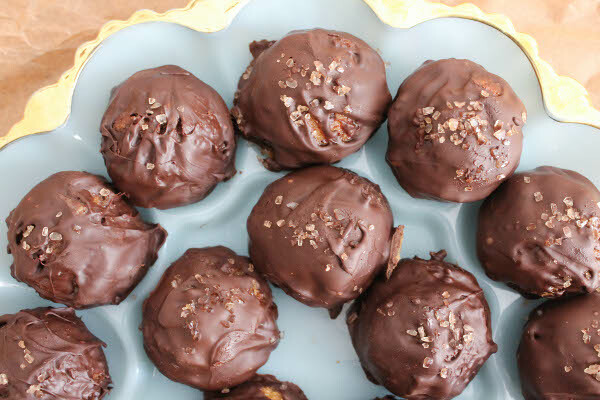 I made cake balls once at home and they were a huge hit! I can only imagine how addicting that dulce de leche sauce is! Yummy! I personally think your cake balls are beautiful!! And you just can’t go wrong with a dulce de leche infusion. Ever. 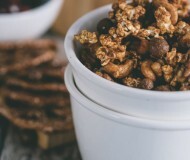 These look fantastic and really easy to make! Thanks for sharing at Saturday Night Fever! Oh man these look incredible! Hahaha I love how you call them “rustic”. I do that all the time! i feel like most of us cooks and bakers are our own worst critics! they look fine and very dandy to me, especially upon finding out exactly what they are. what a delicious creation! Yum! It doesn’t matter it looks as long as it tastes great!